Ahhh Spring,and Easter,all things new and cute little babies -Awww! Why not get the kids a bunny? ?It’s fun at first,this adorable little ball of fluff with the twitchy nose;then cleaning the cage becomes a chore,the kids get bored,bunny is no longer little and cute ,and now gets no attention ,and is trapped in a sad,lonely cage….wouldn’t it be better to set him free in a nice,grass filled park,where he can run and play with his wild counterparts? ?Great idea!! Setting your defenseless bunny free into the “wild”is almost always a death sentence.And Illegal. If you ever find yourself wondering if your rabbit would be “happier” if you turned it loose in the wild, please bear in mind that a wild rabbit comes camouflaged to blend in with his habitat. What color is your rabbit? I actually know someone who used to release her “extra” rabbits into the wild, without giving any thought to the fact that a black and white domestic rabbit was going to be very easily spotted by predators. 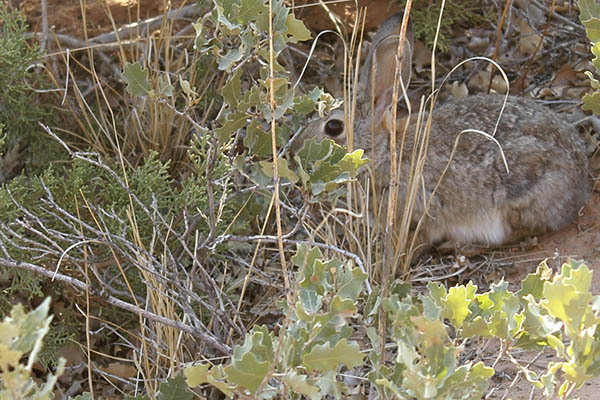 What’s more, the rabbit’s babies will be a virtual smorgasbord for stray cats, hawks, etc. 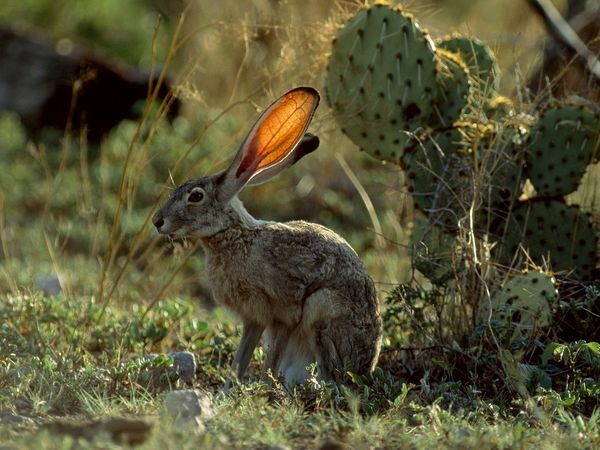 They will be more visible than wild rabbits and too small to defend themselves at all and even too small to be able to cover as much ground as an adult when running for cover. This same person told me she cried whenever the neighbors cat killed one of her bunnies. Clearly, this is a case of someone having good intentions but poor insights. Lastly, there is the environmental impact of releasing domesticated animals into a wild habitat. Habitat destruction, competition with native species– all may result from introducing a non-native domesticated animal. 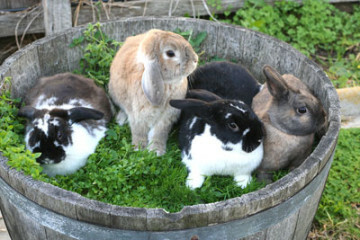 Just by turning your domestic rabbit loose in the wild, you could be contributing to the extinction of native species. Other species throughout the food web, both plant and animal, predator and prey, will bear the impact as well. In short, be a responsible pet owner. Spay and neuter your pets and/or find responsible loving homes for their offspring. And if you truly must “get rid” of them, visit your local animal shelter or humane society. They will treat your rabbit with tender loving care and put it up for adoption.